It's weird how sometimes, despite having had a solid eight hours of sleep the night before, you can find it almost impossible to get out of bed. But why? It doesn't make sense. Sure, your bed is nice and warm and cozy and all that, but it shouldn't be this hard to force yourself to get up. But it seems there might be a real, scientific reason behind this problem: Atypical depression. 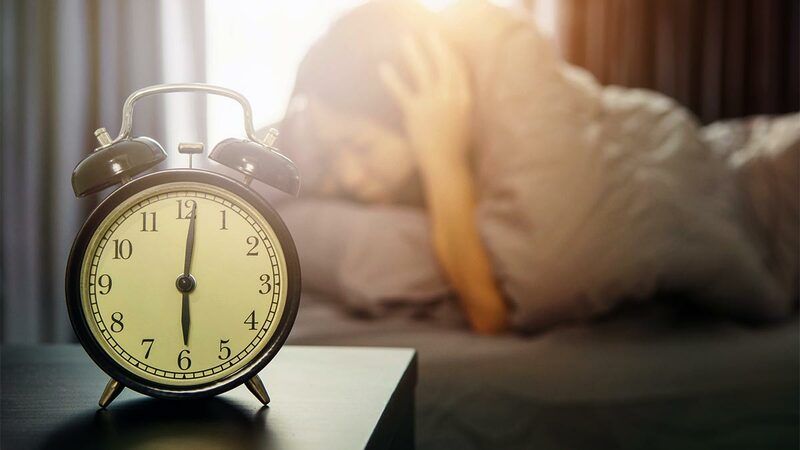 While it certainly won't be the case with everyone, the signs and symptoms of atypical depression—which as the name suggests, are different to the classic indications of the mental health disorder—could be the reason you're unable to get out of bed each day. Health.com looked into it, and spoke to their contributing psychology editor, Gail Saltz, for answers. Saltz explained what atypical depression is: A sub-type of the common mental health disorder which means that sufferers don't always feel down. People who have atypical depression might not even be aware of it because their mood can lift with positive circumstances. But don't immediately jump to conclusions that atypical depression is what's causing your unexplained tiredness, either. As the NHS points out, there are several possible causes, including anemia, coeliac disease, chronic fatigue syndrome, diabetes, thyroid issues, and more.